The people of Townsville know about heavy rain, but this was new. Over the past fortnight, the northern Queensland city’s 180,000 residents have been hit by a monsoon strengthened by a low-pressure front that dragged moist air south from the equator to Australia’s top end. It dumped an unprecedented 1.4 metres of rain in less than two weeks – roughly double what falls on London in a year. Mark Parison was one of those who stayed. 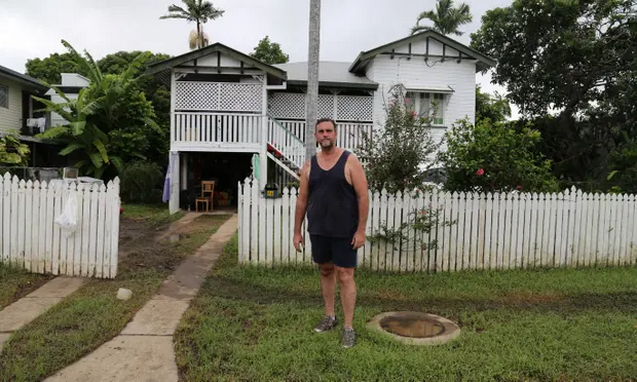 The tide where he lives in Hermit Park peaked at least two metres high on some homes and the road was decorated with debris – furniture, white goods and children’s toys – pulled from homes as the water receded. But Parison’s traditional Queenslander home, elevated on concrete pillars, remained largely intact. If anyone mentions [climate change], I’ll punch ‘em. “It was a scary old night [but] this house has been here for a long time. We decided … it’s been here that long, it’s been through some big floods,” he said. “The weather events seem to be getting more extreme. Whether it’s manmade or natural or who knows. 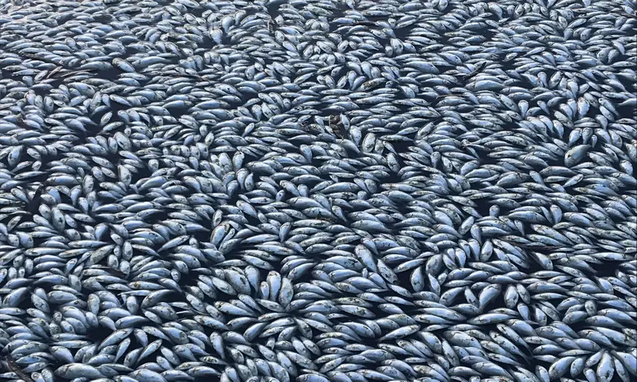 “These people crying about climate change, they’ve got to look at how they live themselves. They’re still driving around in cars, they’re still wearing nice clothes. They’re using mobile phones. So give that up, I’ll start listening to you. 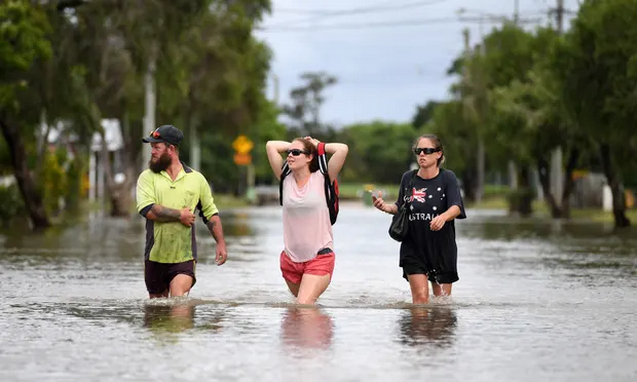 The north Queensland flooding is far from the only punishing event in what has been, even by the standards of the continent, a historically hostile summer. Internal polling for political parties and environment groups suggests Australians are increasingly concerned that this is linked to climate change and want to see action to reduce greenhouse gas emissions as a priority at this year’s federal election. It matches public polling that has found a comfortable majority accept it is a significant problem that needs to be addressed. 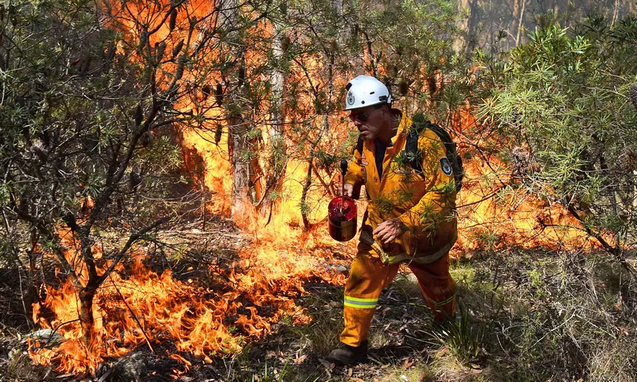 More than 3000 kilometres to Townsville’s south, Tasmania is burning. For the second time in four years, dry lightning strikes sparked a series of blazes on the usually cool, temperate island, many of them in the vast world heritage wilderness area that covers nearly half its territory. In one 30-hour period in mid-January, an extended electrical storm danced across the summer sky, sending down more than 2400 lightning strikes without rain. About 200,000 hectares - 3% of the state’s surface - has been burned, including unique alpine heath landscapes that had not been touched by fire for centuries. The fires are expected to burn for another month at least. Hundreds of people, many of them from in and around the southern town of Geeveston, spent the best part of two weeks camping at evacuation centres. Six homes were destroyed before rain late in the week reduced the threat to communities. A political battle is also raging over the use of water in the vast Murray-Darling river system that fans across the country’s eastern state agricultural districts, with drought-afflicted downstream communities arguing they are being denied water by a national river plan that did not factor in climate change and has been designed to keep dams full at water-hungry industrial agriculture sites in northern states. For most, the most obvious extreme weather shift has been the heat. January was Australia’s hottest month on record by a wide margin, with average national temperatures nearly a degree beyond the previous benchmark and 2.9 degrees warmer than the long-term mean. In New South Wales, the average temperature was nearly 6 degrees hotter than what has been considered normal for the past century. While concern about climate change is growing, there is evidence this position retains support – Essential Media polling late last year, for instance, suggested a slim majority of voters may back public financial support for a new coal power development than would oppose it, though more than quarter said they did not know what they thought. Katie McGrath was among the lucky ones in the Queensland floods, having got caught up and seeing her car in a metre of water. A nurse who works in Townsville but lives on nearby Magnetic Island, she had not realised how great the threat was before getting into trouble. 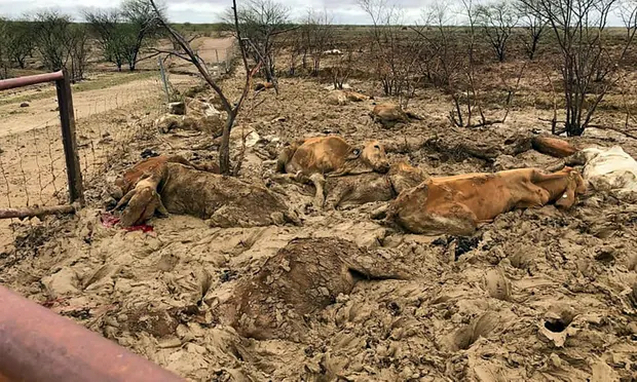 “I’ve never seen the island flood like this before,” she said. But despite the experts, Townsville is the epicentre of support for the Adani coalmine. For every flood affected resident who is concerned about climate change, several others share Parison’s views. “For those people, work’s been hard to come by for a while and that’s been a real issue for people in Townsville,” she said. “There’s not really been much put forward, and this region is really dependent on mining. People want to see jobs in mining, they want to see Adani go ahead. That’s the priority for people at the moment. Whether they agree with climate change, care about it or whatever, that’s a secondary priority to making ends meet now. Attribution science is a rapidly evolving field. Lesley Hughes, who helped launch a Climate Council report called Weather Gone Wild, says emissions are effectively loading the dice to increase the likelihood of an extreme weather event. “What we are now observing is consistent with the climate science – as the Earth warms up, more extreme weather is inevitable,” she says.